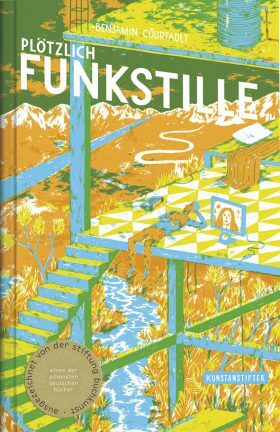 Plötzlich Funkstille – Suddenly Silence by Benjamin Courtault won the award Schönste deutsche Bücher – Most Beautiful German Books 2016! The jury selected 25 out of 788 books. Besides, four more Kunstanstifter titles have been honored and put on the short- and longlists! Werther Reloaded by Franziska Walther based on J.W.Goethe’s novel, Der große Buchstabenraub – The Big Alphabet Robbery by Thomas Riegler and Christian Sova, and Finn Flosse räumt das Meer auf – Finn Flosse Cleans Up the Ocean by Eva Plaputta. E.A. Poe’s The System of Doctor Tarr and Professor Fether, illustrated by Renate Wacker and translated into German by Arno Schmid, is on the longlist 2016.